Looking to improve your IDE knowledge? Check out this post on the top online courses for learning IntelliJ IDEA and Android Studio for Java and Android development. There is no doubt that IntelliJ IDEA is THE best IDE for Java development, even though Eclipse may still be used by more people because it's free. 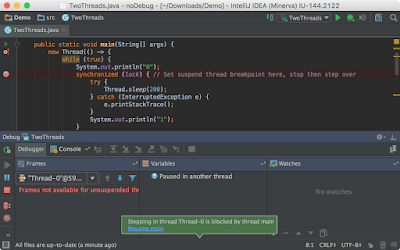 IntelliJ IDEA is the most feature-rich and complete IDE. The Android Studio, which is the official IDE for Android development in Java, is also based upon IntelliJ IDEA, which further cements its place as the IDE that every Java developer should learn. The only thing that stops me and many other Java developers from moving to IntelliJ IDEA in the past was the lack of resources. Since Eclipse was free from the start, there are tons of resources, e.g. books, courses, and tutorials, available. There are also a lot of resources to learn productivity tips, like keyboard shortcuts and debugging techniques, but there were not many for Intelli IDEA. But, as I said, things have changed. Now, there are a lot of useful resources available on the Internet to learn and master IntelliJ IDEA and Android Studio. There are a lot of good courses on Udemy and Pluralsight, screencasts on Youtube, and even the JetBrains' blog that have some useful content — the only thing you need is to find the right one for you, and that's where this article can help! In this article, I am going to share some of the best IntelliJ IDEA courses for Java and Kotlin developers to learn and master IntelliJ IDEA and Android Studio. These courses will also help you to increase your productivity by teaching you to use keyboard shortcuts and debugging and navigation techniques. If you are a Java developer and learning IntelliJ IDEA and looking for some awesome courses to give your learning and IDE skill a boost, then you have come to the right place. Here is my list of some of the best IntelliJ IDEA courses for Java and Android developers. Even if you are using Kotlin for Android development, you can benefit from learning IDEA and will find some of these courses useful. Also, it's worth noting that Kotlin is from JetBrains, the company behind IntelliJ IDEA and Android Studio. If you have been doing Java development for a couple of years, then you might have heard about Dr. Heinz Kabutz, the author of the famous Java Concurrency and Design Pattern course. He is one of the most influential users of IntelliJ IDEA, and if you have attended any of his webinars or talks, his IntelliJ skills have definitely caught your attention. 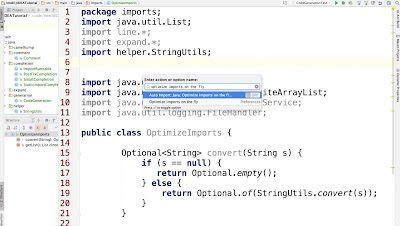 In this free course, Heinz shares most of his magical IntelliJ IDEA tricks that any Java or Android developer can use to increase his productivity with IntelliJIDEA or Android Studio. I highly recommend this course, and you won't lose anything because it's totally free. This is one of the most popular IntelliJ IDEA courses on Udemy, with more than 3000 students already enrolled. 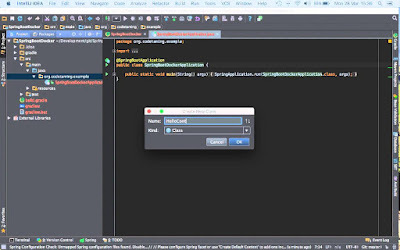 In this course, you will learn fast coding tricks of IntelliJ IDEA that will make you a more productive Java developer, Remember: a craftsman is as good as his tools. The authors Tao W. and James Lee are hands-on software engineers working on the Big Data space. James has also worked with technical giants, like Google and Amazon. In his day job, he works with Big Data technologies, such as Cassandra and ElasticSearch, and he is an absolute Docker technology geek and IntelliJ IDEA lover, with a strong focus on efficiency and simplicity. That speaks volumes about what you will get in this course. In short, you will learn over 70 shortcuts to bump up your productivity (on Mac, Linux, and Windows) and learn how to use the magical power of IntelliJ IDEA's Analysis tool to create better code. Apart from unit testing, refactoring is another art that separates novices from professional developers and, in order to be good refactor, you need a tool that you can trust. Though both Eclipse and NetBeans provide powerful refactoring tools to refactor Java code, e.g. extraction of code into methods, classes and changing the design of the code without breaking IntelliJ's refactoring power can't be matched. IntelliJ IDEA provides a huge number of tools to make refactoring of even very large codebases safe and hassle-free, and this course will teach you how to leverage IntelliJ IDEA's built-in refactorings to improve your code quality. The course starts with showing how to refactor a small codebase using IntelliJ IDEA's automated tools and then build up skills that can be applied to huge source trees without breaking a sweat. You can use this book along with Martin Fowler's Refactoring book to Refactor Java code like a pro. Spring Boot has really taken Java development with Spring to another level. It's auto-configuration and starter dependency features remove all the initial friction you face with developing Java projects with Spring. If you combine that convenience with the power of IntelliJ IDEA, you will have a suite of tools and library to rapid Java and Spring Framework development. 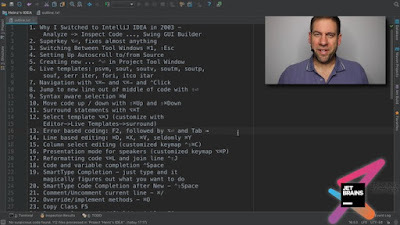 In this course, you will learn how to develop and run a Spring Boot project with IntelliJ IDEA, learn IntelliJ IDEA keyboard shortcuts, debug and test Java applications with IntelliJ, and search and edit source codes easily in IntelliJ IDEA. In short, a perfect course for Java and Spring developer. As I have said before, a craftsman is as good as his tools, and a Java developer is as good as his IDE. But with IntelliJ IDEA, you also need to learn how to use all the power of IDEA. If you have just started with IntelliJ IDEA, then you should pick up this course to learn and use IDEA like a pro. This course will teach you how to code faster using autocomplete and smart complete, quickly find and replace text across all your files, easily navigate your codebase, and build and run Java programs from within IntelliJ (no need to go to the command line). 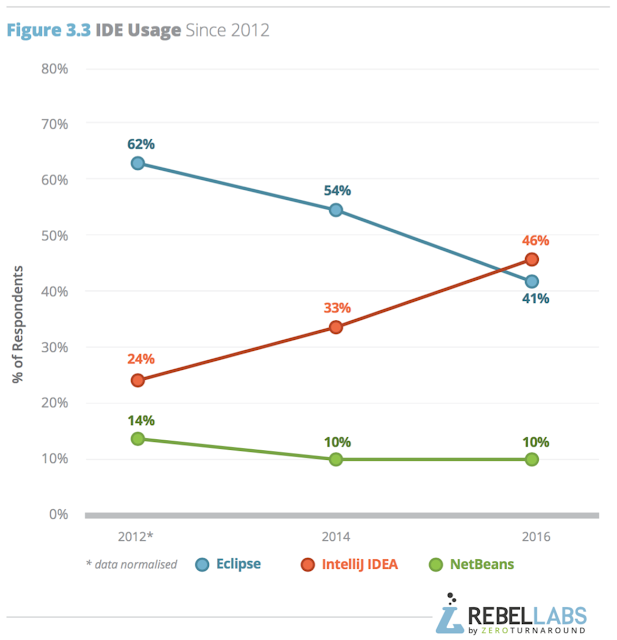 If you are still thinking of Eclipse, you probably need to think again, as from the below diagram from RebelLabs where it looks Eclipse has clearly lost the race with IntelliJ IDEA, and it might just be Android Studio who turned the tide against Eclipse. That's all for now on the best courses to learn IntelliJ IDEA for Java and Android development. These courses will take your IntelliJ IDEA skills to the next level and improve your productivity and development experience. If you have any other IntelliJ IDEA courses that you would like to share with us, feel free to do so in the comments below. Most of the tricks and tips you will learn about these courses will also work with Android Studio. Thanks for reading this article! If you like these IntelliJ IDEA courses, then please share this page with your friends and colleagues. If you have any questions or feedback, then please drop a note below.